Holmgren, Eric J.. "Leduc". The Canadian Encyclopedia, 12 May 2016, Historica Canada. 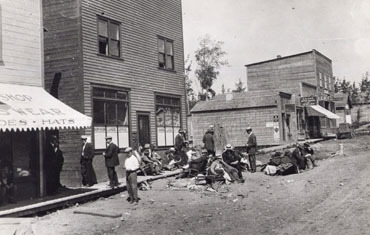 https://www.thecanadianencyclopedia.ca/en/article/leduc. Accessed 22 April 2019. Leduc, Alta, incorporated as a town in 1906 and as a city in 1983, population 24 279 (2011c), 16 967 (2006c). The City of Leduc is located 30 km south of EDMONTON. Originally a telegraph terminus and stop on the Calgary and Edmonton Railway (1891), the community grew as an agricultural centre. Leduc, Alta, incorporated as a town in 1906 and as a city in 1983, population 24 279 (2011c), 16 967 (2006c). 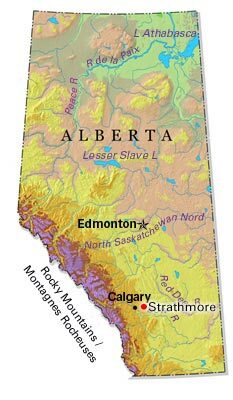 The City of Leduc is located 30 km south of EDMONTON. Originally a telegraph terminus and stop on the Calgary and Edmonton Railway (1891), the community grew as an agricultural centre. It was named for Revered Hippolyte Leduc, OMI, a pioneer priest in the area. On 13 Feb 1947, the Leduc No 1 well, several kilometres to the northwest near what became the town of DEVON, successfully tapped the huge Leduc oil field. 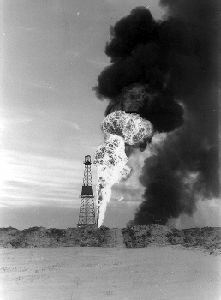 By the end of 1947, some 30 wells in the field were producing 3500 barrels of oil a day. Today, most of the field is depleted, though Leduc is still a storage and pumping station. An oil interpretive centre has been established at the Leduc No 1 Oil Well site. Leduc is a farm distribution centre with some light industry connected with oil production, although not as much as formerly. The city is a dormitory community for many people who commute to Edmonton, who work at the nearby Edmonton International Airport and the neighbouring Nisku industrial park. Services in the community include a hospital, public and separate schools, an industrial area, churches, a public library and art gallery, a performing arts centre and many recreational facilities and urban parks, including a 35 km path system that interconnects the residential subdivisions and park areas. The newspaper is the Leduc Representative. LeducThe official website for the City of Leduc, AB.